A photographer would never send a customer photos without first looking at the results of creative efforts. After all, people do unexpected things just as the camera snaps a picture and some shots don’t turn out well, and your goal is to sell photos. The same is true of your internet marketing strategy. You shouldn’t start adding features to your website or change your internet marketing strategies without having a method in place to measure how successful current features and strategies are in terms of convincing website visitors to take action. You have to evaluate the results. Web analytic are the ‘photographs’ of your internet based business. At any point, you should be able to review statistics and learn what is working on your website and other e-commerce sites, and just as importantly, what is not working. As a photographer, you know nothing stays the same. Children grow, families expand and holidays are celebrated and all of this is good for your business because it means new photographs are needed. The same is true for your website and blog or any other online method used to drive people to your sites. Markets and consumer behaviors change, and you have to change too to keep clients engaged. It’s good to redesign a website, but how do you know what to redesign unless you take regular snapshots of your statistics? But you need more than just statistics. An effective web analytics program will tell you the steps browsing website visitors took as they eventually became paying customers. How did they get to your website? What links did they click? Which website features did they use? This is the type of valuable information that can be collected using Google Analytics. There are two important terms you need to know. The first term is Search Engine Optimization (SEO) whichmost people are familiar with. The second term is Conversion Rate Optimization (CRO). SEO is a strategy that attempts to get your website listed on the first page or tow of search engine results. When a potential client looks for a photographer by doing an organic Google search, your website would show up near the top of the search results if the SEO campaign is successful. An organic search is a general search done by entering keywords in the browser search box. CRO, on the other hand, looks at what items, links, features, forms or anything else persuaded people to click through to your website and how many of the click-throughs actually made a purchase or did what you wanted them to do. One of the interesting points about CRO is that you can define success however you want. 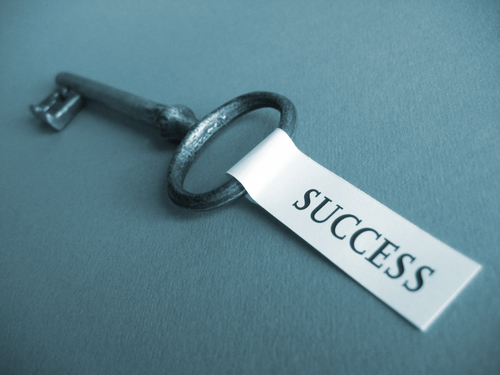 Success may be an actual product or service purchase, completing an opt-in form, commenting on a blog posting, giving referral contact information and so on. The list is infinite because each photography business decides which information is most valuable. You will notice that the list of analytics does not include absolute traffic numbers. Of course, you will get that number with web analytics, but it is not an actionable analytics data. In other words, the total number of site visitors really does not tell you much. You need to know how people found your website, what they did when they landed on it, and which features are performing best. With that information you can make good decisions about your internet marketing strategies. This is a basic description of web analytics. It’s important to understand the concepts though because you will have to determine what benchmarks make sense for your business. When you photograph a wedding, you rely on feedback from your camera and your eyes to tell you how to adjust your position, angle, lighting and everything else. You never stand in one place and just click away. It’s the same with your website and web analytics is the feedback.